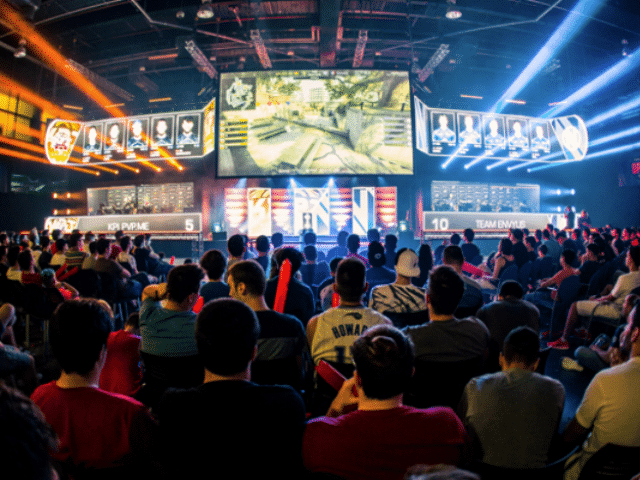 DreamHack paved the road to back to Atlanta, detailing its lineup of events fro Nov. 16-Nov. 18 at the Georgia World Congress Center. The 24 hour-a-day festival weekend will serve up nearly $2 million in pro esports tournaments, along with Hi-Rez Expo, collegiate matches, LAN party, music concerts, cosplay championship, panels, and more, sponsored by Monster & H4x. Esports Tournaments Major titles will include: over $1 million SMITE World Championship (including PC & Console) and over $300,000 Paladins World Championship (including PC & Console); $300,000 Halo Championship Series Finals; $100,000 Counter-Strike: Global Offensive; $100,000 Brawlhalla World Championships; $33,000 Fighting Game Championships (FGC) with prizes spread across Super Smash Bros. Melee and Wii U, Street Fighter V: Arcade Edition, Dragon Ball FighterZ, Tekken 7, Soul Calibur 6 and more; $15,000 Hearthstone Grand Prix; and $10,000 Halo 3. Meanwhile, community BYOC Tournaments Include: Fortnite, League of Legends, Overwatch, PLAYERUNKNOWN’S BATTLEGROUNDS (PUBG), Rocket League, Rainbow Six Siege, CS:GO, SMITE, Paladins, and more. On the cosplay front, cosplay DreamHack Atlanta’s Cosplay Championship will reach a new level with celebrity head judge Yaya Han joining the team. In addition, the Hi-Rez Expo at DreamHack Atlanta will bring Hi-Rez characters to life, taking center stage to compete for a prize pool of $15,000. DreamHack Selects ‘Save the Children’ as Global Charity Beneficiary DreamHack is proud to be a supporter of global humanitarian organization Save the Children in 2018. Save the Children already had a presence in the Expo at DreamHack Austin and Summer, and will also be at DreamHack Atlanta and Winter, giving attendees an opportunity to learn more about the organization’s work, including a virtual reality experience. During these events, charity streamers will work together in an effort to raise at least $100,000 as part of Save the Children’s Stream Team: creators 3 who game, stream or vlog to help save kids in need. On Friday, November 16, DreamHack will kick off live music with EDM artists Slushii, Kill the Noise and Riot.